This year's Irish Classic and Vintage Motor Show (Ireland’s largest classic car show) will be held in Terenure College on Sunday July 2nd 2017. The charity supported this year is the Help Emma Beat It Fund, helping Emma Naughten-Heavey beat Fibrolamellar Hepatocellular Carcinoma, an extremely rare cancer that affects less than 200 people per year worldwide. Adults: €15, Children (under 12): €5, Seniors: €10. Open to the public from 11.00am to 6.00pm. Free car parking is available within the grounds and tickets may be bought at the gate. More information is available at the Irish Jaguar and Daimler Club website. 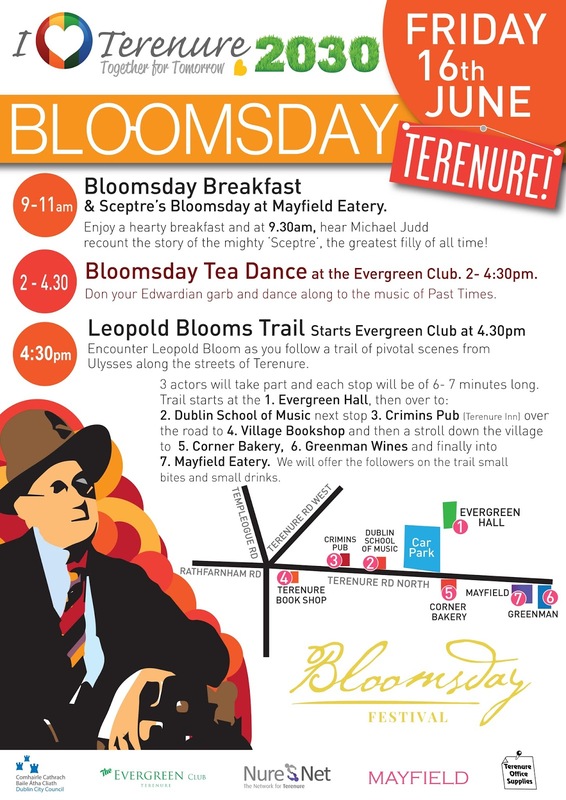 This Friday 16 June is BLOOMSDAY!